Did I learn my lesson? Did God get my attention? Yes, to both of those questions! On December 9, 2005, I was referred to the DO-IT Program that assist individuals that have been involved in a one-time isolated episode of some type of domestic violence disturbence. I fully and satisfactorily completed the program on January 6, 2006 and return to court on March 9, 2006 and all charges filed against me were droped and my case was dismissed. Expungement will occur on or before September 9, 2006 and my record will be erased as if it never happened! 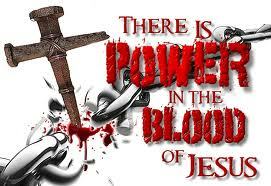 I, even I, am He that blots out all your iniquities for my sake and shall remember them no more, Isaiah 43:25. "ARE YOU IN NEED OF EMPLOYMENT AND HAVE A CRIMINAL RECORD? You may be eglible to participate in the RE-ENTRY SERVICES PROJECT. I called the number, registered and successfully completed that program, which provided me with a complete listing of employers that are not prejudice or biased towards hiring ex-offenders. Are you a survior of domestic violence? Are you receiving your child support payments? Are you looking for a safe place, a healing place? Are you looking for an advocate; someone that will help you fight for your legal rights and the respect that you deserve? This campaign is one of many initiatives of Arise & Shine For Jesus Ministry to educate and create community awareness about Domestic Violence, as well as provide a platform for my brother & sisters in Christ to help support the cause by stirring up the gifts that God has placed inside of them. Every day a woman, a man and a child are participants or witnesses to a domestic violence act that leaves them scarred on the inside. The vision for "Hope Is On The Horizon" was conceived while I was traveling through a dark passage in my life, where I ended up in the emergency room of Thomas Jefferson Hospital with a severly separated shoulder that was dislocated for 15 hours; the results of a domestic violence altercation that occurred outside of family court on November 9, 2005, that resulted in my incarceration on November 14, 2005, when my son's father beat me down like a man; after I punched him in the face all because I got tired of waiting for God to intervene in my situation, and I displayed behavior that is not true to my nature...pause and think about that!!! God's grace and mercy kept me and it's a miracle that I survived to tell my story! Welcome, to "Hope Is On The Horizon" E-zine. My name is Stacey Lunsford and I am the editor of Hope Is On The Horizon and founder of Arise & Shine For Jesus Ministry. The sole purpose of this ministry is to glorify God and to help real people find real biblical "soul"utions for the real problems (Domestic Violence, Child Abuse, Incarcerated Parents, Brokenness, Poverty, Sexual Immorality, Drug and Alcohol Addictions, Prostitution, Gangs, Unsafe Schools, Senseless Deaths, etc. ), that they are facing on a daily basis. Problems that the church has overlooked, been afraid to address and/or have been inadequately prepared to assist them with. Embarrassed and, afraid to ask for help...quietly they cry, help but nobody hears! Help, (the children act out in school) but nobody sees, nobody hears, nobody takes acts. Help, we see her getting hit on the street, she holds her head down as she looks at you, her eyes pleading, please call the police (but we quietly walk away) as if we didn't see! Then we try to justify our silence by making excuses, by judging, criticizing and speaking about things that we don't understand. Every day when we go to work, go to school or go to church, (especially in the church) we hear about domestic violence....but we remain silent! Did you know that over 65% percent of court ordered domestic violence counseling is being issued by our judicial system for pastors and ministers that are abusing their wives & children at night and they are preaching, teaching and counseling by day? Today, I sound the alarm and ask for your help with breaking the silence about domestic violence. The overall flavor of the magazine is to sound the alarm, proclaiming that Hope Is On The Horizon and to help provide a way of escape! The primary focus of the magazine is to support and encourage men, women, boys and girls from all over the world through inspirational messages of hope, sharing God's love and providing the resources needed to help them rise above their circumstances, by the sharing of anointed stories (real testimonies) of "real" people that have/had "real" problems that have victoriously overcoming their problems because of blood of the Lamb and the word of their testimony...coupled with "real prayer" and the real biblical "soul"utions that are recorded in God's word, that will help them make better decisions and live a more victorious life. Having said that, I have a question to ask you? What have you overcome? What has the Lord delivered you from? What is your story? I would like to extend an invitation to you to be a one time or a contributing writer to Hope Is On The Horizon!